Last winter my kids were constantly sick. Seriously. I never left my house, and when I did, I was a hot mess. My hair was pretty much one giant sad snarl of fluff. I’m pretty low maintenance, so I started researching my options of what could make my hair look great with minimal effort. 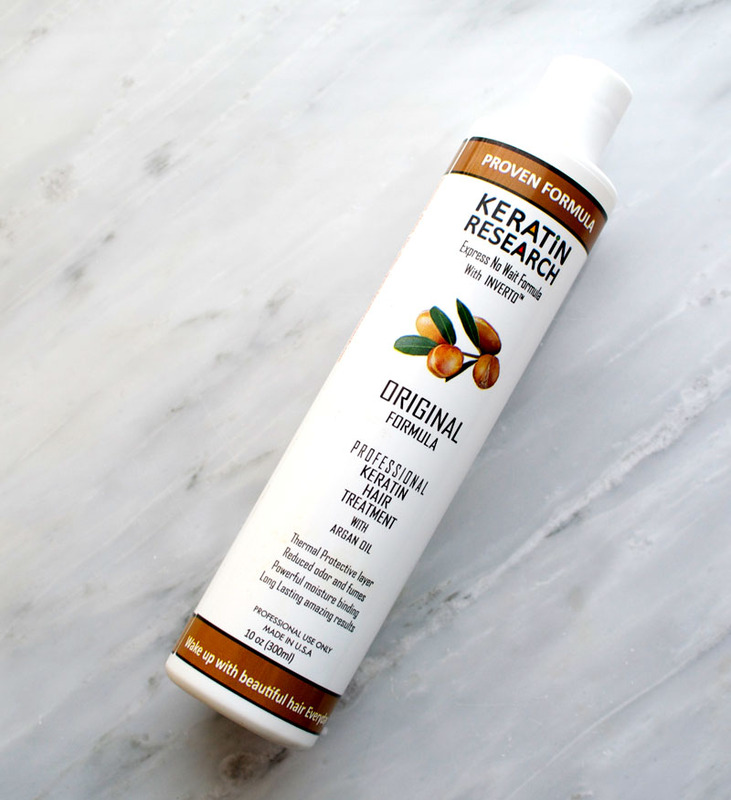 Enter Keratin Research Hair Treatment. After some tedious research on Amazon, I decided this was my best bet for silky manageable hair. While some people use this for straightening, my main goal was for silky, smooth hair. It did reduce the waves in my hair for a little while, but overall, the result was hair that I could air-dry, brush, and go. The difference was night and day for me. I couldn’t stop touching my hair one I rinsed the product out. It was like a whole new head of hair. I wasn’t expecting to love it so much, so my before picture is one I just happened to have on my phone when I was trying to see how long the back of my hair looked. *My bathroom lighting is super yellow, so that accounts for the color difference. Since my first application, I have done it a couple more times, including on both of my nieces, and every time it works. I used it right before my family vacation to Huntington Beach, and I couldn’t stop touching my hair. It kind of became the family joke. This picture is of me on the beach. I washed my hair and let it air dry, then brushed it. No blowdrying, or flat irons. And I’m on the beach. It’s amazing that my hair isn’t super frizzy and fluffy. 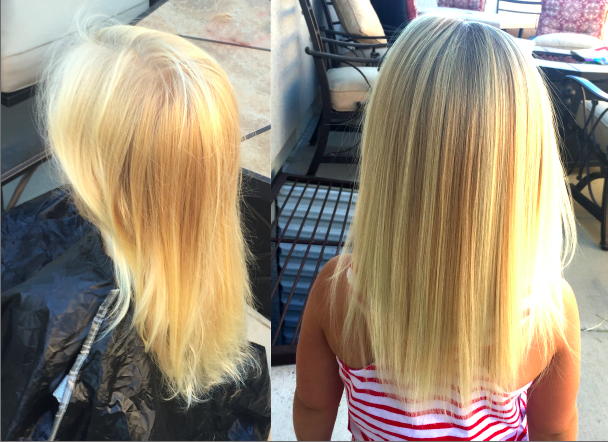 I also did this treatment on my niece who has super fine hair. Because it’s so fine, it gets tangled easily. So I did her hair before she went to California and my sister-in-law said it made it way easier to brush and style. 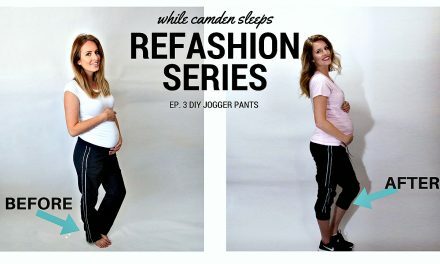 Her before and after is below. This is not a sponsored post. I really love this stuff. 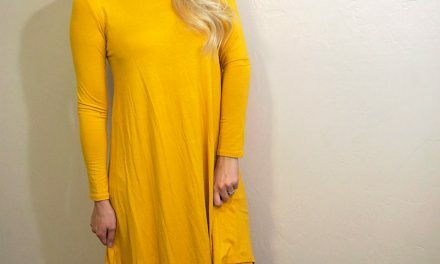 I definitely recommend reading the reviews and looking at the before and after photos on amazon. 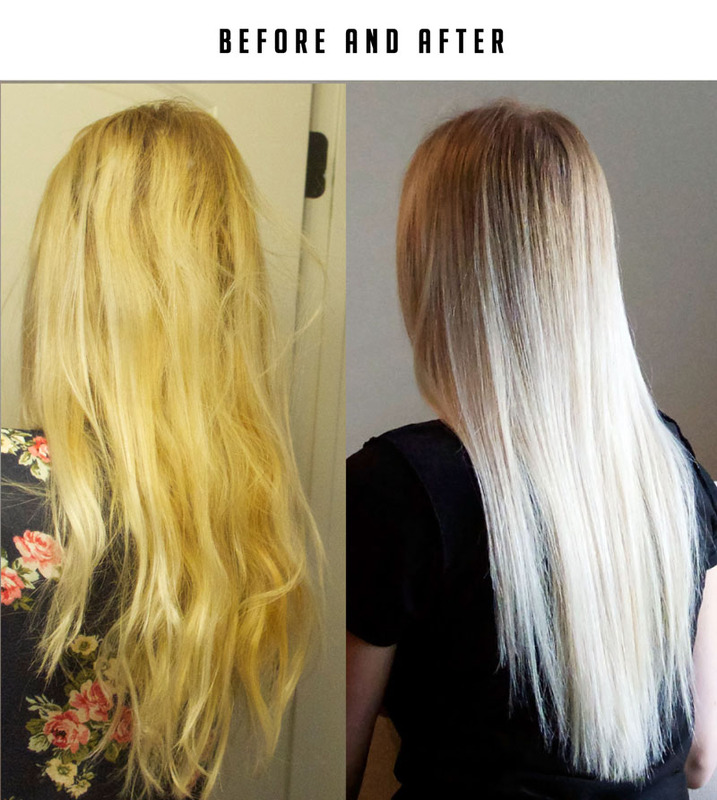 Here’s how I did the keratin treatment at home. Wash hair with a clarifying shampoo. Do not condition. 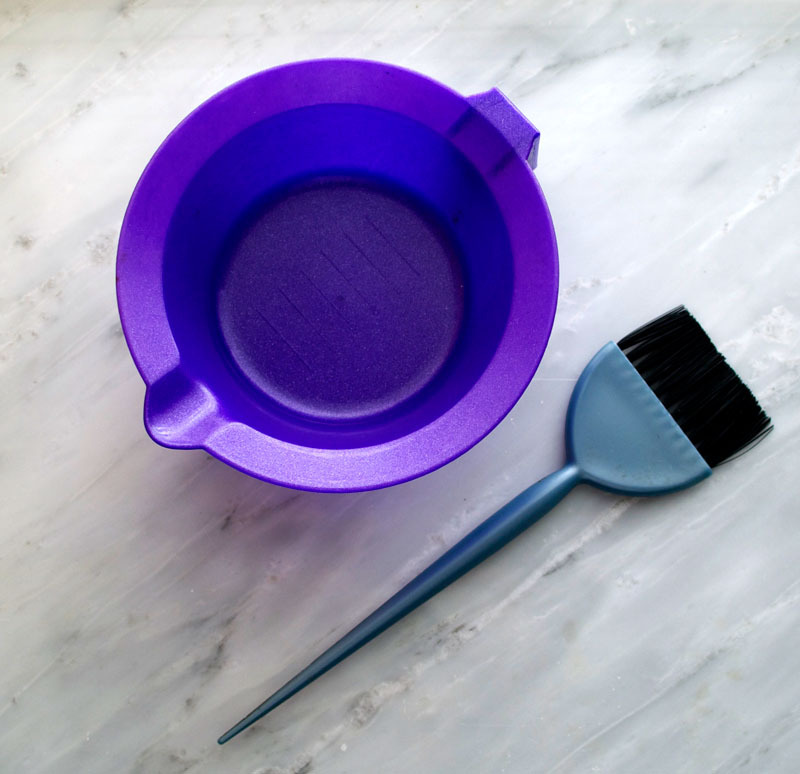 Use a tint brush and bowl to apply Keratin Research Professional Keratin Hair Treatment to every section of hair. Using a fine tooth comb, spread product over each strand and remove excess. Let solution air dry for about 20 minutes, then blow dry or continue to let air dry. With your flat iron at it’s highest setting, go over every section of hair a few times. The heat is what locks in the keratin. Wait a day or 2 to wash your hair. The product will feel a bit filmy while it’s in the hair, but it’s not terrible. Rinse and enjoy your new princess hair. 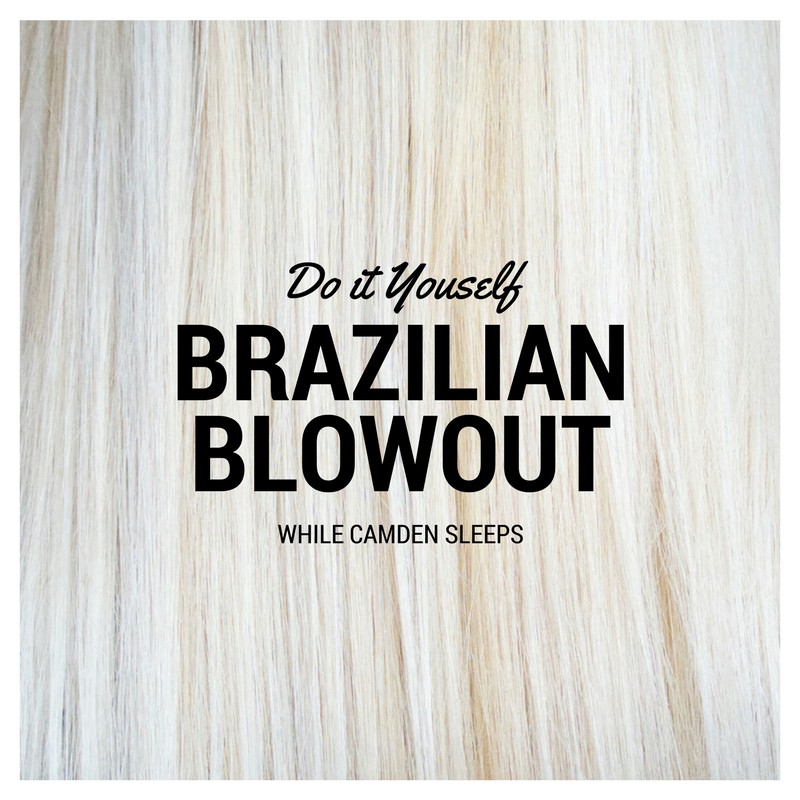 Tips for your DIY Brazilian Keratin Treatment. I recommend doing this outside or by an open window as the fumes can be kind of strong. Be sure to get hair as clean as possible before starting. I used my clarifying shampoo about three times in a row. My 10 oz bottle has lasted me over 4 applications and I still have some left. Again, it didn’t completely remove the waves from my hair, but it did make it soft, silky, and so easy to brush. It looks great without any effort on my part. Amazing!! Can you still curl your hair once you do the Brazilian blowout or does it not hold a curl? I need something to help get rid of the frizz but that will still allow me to curl my hair. I can, but it doesn’t hold curl nearly as well. Hi! 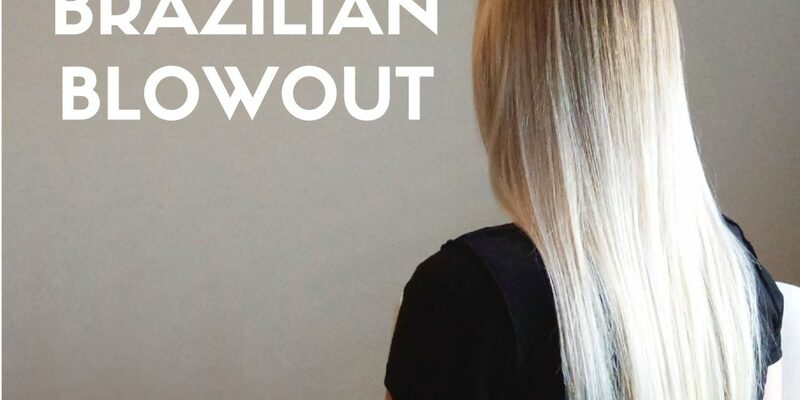 Do you think this treatment is safe for fairly damaged hair? I wouldn’t risk it, better to be safe than sorry! How did you find the fumes? I worry about the formaldehyde content and am not sure whether I am being overly cautious. I either do it outside, or by an open window. I haven’t found the fumes to be too bad.